Last updated November 11th, 2018. There are countless ways to invest in Asia. From buying real estate to simply starting your own business, the sheer number of options to grow your wealth might leave some confused. Buying stocks is still the first thing most people consider when it comes to investing in Asia though. International stock markets aren’t the most novel or innovative method of investment. But almost anyone in the world can trade stocks in Asia from home, and with little effort. Practically every online brokerage will let you buy stocks listed on major global exchanges, including Asia’s. You should immediately switch brokers if yours doesn’t allow this. Stock exchanges such as Singapore’s and Hong Kong’s are mainstays of any brokerage worth their salt. A good broker should let you trade stocks in Asia – regardless of where they’re headquartered. 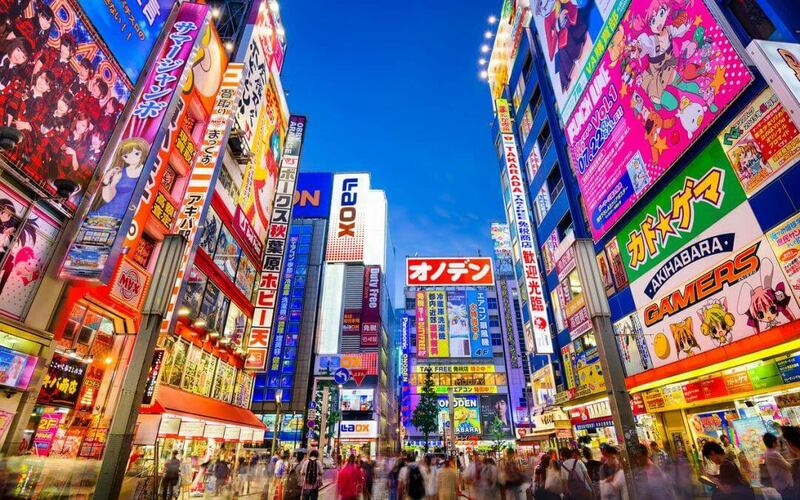 Furthermore, exchanges outside of Asia list stocks from countries like China and Japan. Baidu is listed on the NYSE while Toyota is on the NASDAQ, just to give two examples. It’s worth mentioning the United States has the biggest concentration of listed stocks in Asia outside of the continent itself. Because of that, opening a U.S. brokerage account could be desirable for some investors. A table showing Schwab’s international trading fees. Is your transaction size large enough where $50 commissions don’t affect overall returns? Because that’s the reality of buying stocks in Asia through a broker outside of the region. With that said, you probably shouldn’t use your American or European account to trade stocks in Asia. You’re just robbing yourself of the benefits that otherwise come from investing in emerging economies. Why? The first reason is because you’re giving up your competitive advantage. You’re now competing with multi-billion dollar hedge funds and other institutional investors by trading stocks listed in New York or London. These businesses have complex algorithms and thousands of highly paid researchers. Do you really think you can extract value out of a market when your competitors can perform in-depth analysis and execute trades in under a second? Very rarely, some investors consistently outperform the market by trading on large exchanges. But Goldman Sachs will usually get to any true, mathematically-proven “value stocks” while you’re still waiting for Google Finance to load. That reason is also why I prefer smaller exchanges such as Malaysia’s and Vietnam’s. Countries such as these have hundreds of hidden gems with almost no analyst coverage. Don’t just trade stocks in markets where everyone else, small and institutional-sized investors alike, are buying up assets. Of course, the online brokerage you already have should let you trade in Japan or China. But they almost certainly won’t let you buy stocks in Vietnam or Malaysia. You’ll need to open a local account for that. Keeping your ability to find hidden gems isn’t the only reason to open a brokerage account in Asia though. You’ll also save yourself a lot of money in fees. Brokers universally charge high commissions to make international trades. For example, Fidelity (a major broker in the U.S.) charges HK$250 to buy or sell a stock in Hong Kong. That’s a whopping US$32 per trade. 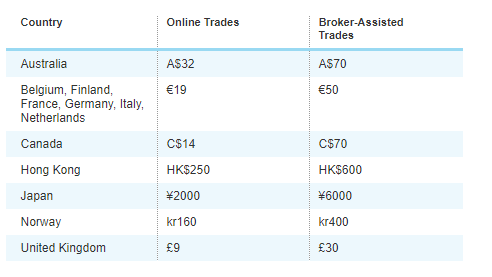 A local account such as Boom Securities charges HK$88, or just US$12 per trade by comparison. Trading stocks in Asia is similar to most other places once you’ve opened your brokerage account. I won’t get into details or specific stock recommendations – they depend entirely on where you’re trading. Some exchanges have lunch breaks, while others have minimum orders and other quirks. But as with most things, your end result depends on how much effort you’re willing to put in. The best way to invest in Asian stocks is to set up a local brokerage account. Don’t just trade shares of Sony on the New York Stock Exchange.